Hello Kilcoole colony followers! Apologies for the delay in updates- we’ve had an incredibly busy and unusually quick start to the season. The site wardens and volunteers have been kept on their toes by the frenzy of terns that have settled into their scrapes. The day wardens, Chris and Irene, have spent from dawn ‘til dusk checking nests for incubation; locating newly discovered nests; and checking numbers of eggs. The night wardens have been dutifully protecting the terns from nocturnally active predators, such as the Red Fox, and have ensured that the fencing is so secure, even Andy Dufresne wouldn't get past it. 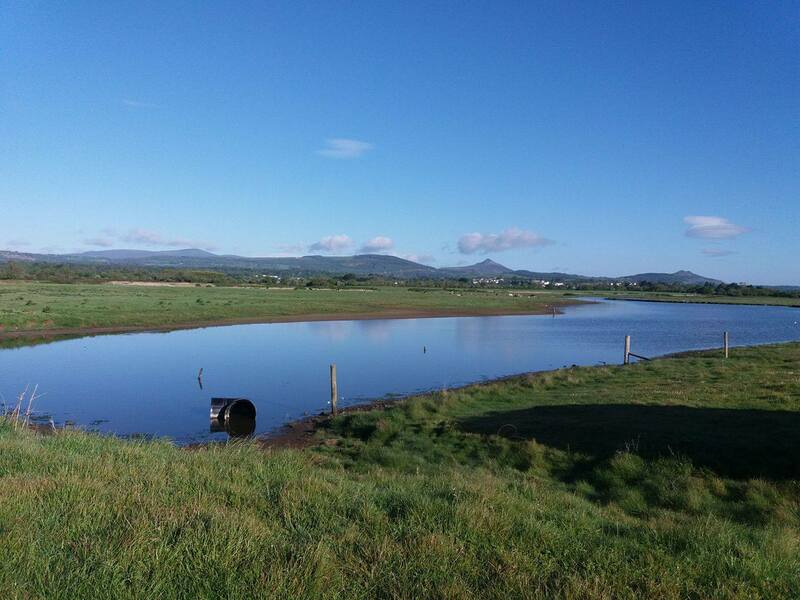 The Kilcoole site is extraordinarily beautiful and supports a wealth of biodiversity. The wardens’ accommodation is situated right beside a lagoon, from which spectacular sunsets can be observed. The stretch of shingle beach opposite this lagoon, between Kilcoole and Newcastle, is an extremely important breeding grounds for the Little Terns, and so has been protected by Birdwatch Ireland since 1985. The lagoon on which the warden's accommodation is located. 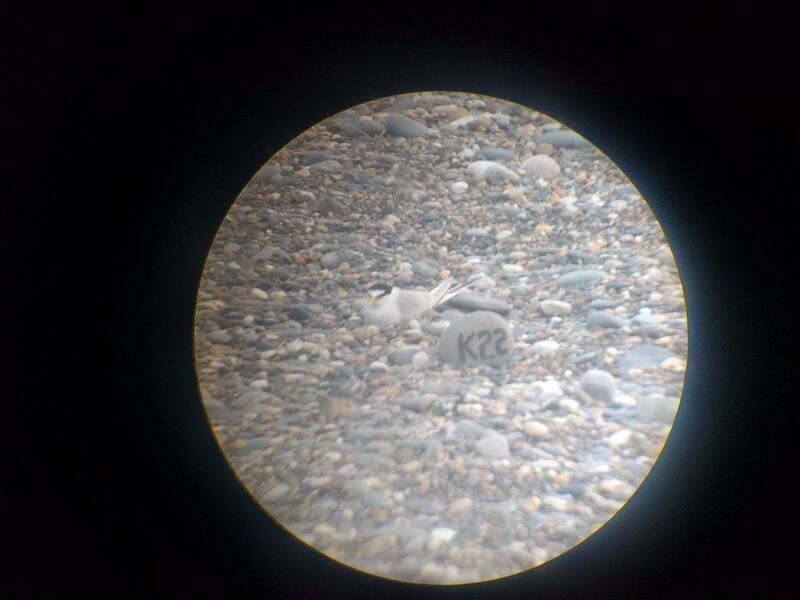 The process of finding nests at Kilcoole can be a challenge- the stretch of beach on which the terns lay is comparable to a Where’s Wally book. 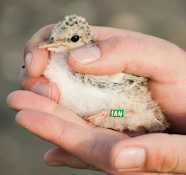 The tern eggs blend in seamlessly with the shingle, and great care must be taken when walking through the colony (quite literally, walking on eggshells to make sure you don’t walk on eggshells!). The nests are located using a telescope from the hide, and binoculars when walking alongside the colony. 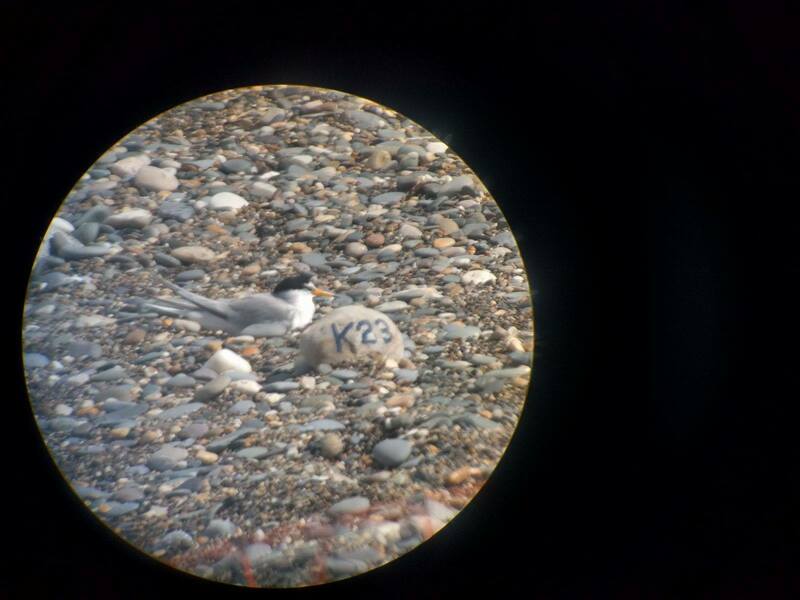 below are a couple of images through the scope of Little Terns incubating their eggs. We’re very excited by this year’s numbers. The weather so far has been in the terns’ favour (hopefully won’t jinx that now) and the number of incubated nests is high, so plenty of positives. If you find yourself down around Kilcoole, feel free to ask the wardens on duty any questions you may have on the colony. Our on-site blackboards (updated daily) feature the latest in the colony news bulletin (titled “The Daily Page Terner,”) and also provide a list of species spotted in the locality, to which we would be delighted to add your sightings and contributions. Stay tuned for our next installation, which will feature some notes on Little Tern biology and more photos, as well as updates on the colony's progress!